If you have celiac disease, your small intestine reacts inappropriately to gluten. Celiac disease is an autoimmune disease that affects about 1% of us. This is way up compared to 50 years ago, when only about 0.2% of us had celiac disease. People with celiac disease suffer diarrhea, stomach pain and weight loss when they eat gluten. Given the ubiquity of gluten in everyday life, celiac suffers figure out pretty quickly that something is wrong. A quick blood test can indicate that someone probably has celiac disease, but an endoscopy is required to confirm it. If someone with celiac disease continues to eat food containing gluten, long-term damage is done to the intestines and death may occur. In addition to people with celiac disease, other people have a mild allergy to wheat. These people have the typical allergic symptoms: sneezes, runny nose, skin blotches or hives, and upset stomach. Often this sensitivity is only triggered by eating wheat, and the rest of the gluten-containing grains are fine. A third group of people avoid gluten because they believe that it triggers autism. This was a very trendy topic a few years ago, especially among Hollywood’s beautiful people. After a lot of time on talk shows, some science took place, completely disproving this connection. Nonetheless, some people hang on to this concept. Probably while looking for big foot. The combination of these factors has resulted in an explosion of gluten-free foods. 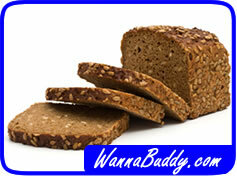 A real boon for celiacs, gluten free alternatives for most pasta and baked goods are available now. Some of the products taste barely better than their cardboard box, but others are quite nice. Since gluten is a binding agent, cooks need to flex their chemistry chops to find alternative binding agents. Flour alternatives include rice, garbanzo beans and tapioca. Most alternative flours use xanthan gum as a binding agent. If the food has strong flavors, like chocolate cake, the results can be pretty pleasant. If the food has subtle flavor, like sourdough bread or angel hair pasta, your results may be disappointing. So, can gluten free eating be right for you? 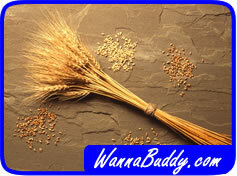 If you have celiac disease or a wheat allergy, then you are pretty much forced to eat gluten free or starve. Otherwise, there aren’t clinical studies supporting any health benefits of avoiding gluten. We’ve eaten gluten for thousands of years and our bodies are pretty good at handling it. If you have the option, I’d suggest sticking with the gluten! I heard a lot about gluten free products and this one sounds delicious. 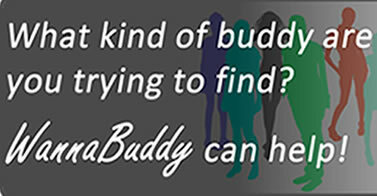 What's so nice is that it could work like a body sculpting because it eliminates body fat. I think it's time to try this fad.